Everyone has habits. Some of of our habits are ones that help us lead a peaceful and positive life. Others interfere with those feelings. 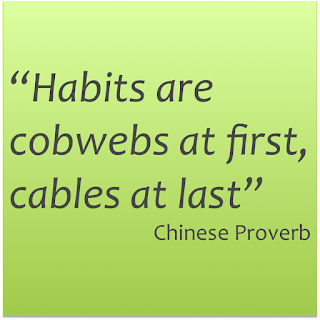 Folks can't seem to stop promising themselves they will start doing (insert new habit here or insert removing old habit) without understanding the process by which a habit is acquired or broken. This graphic illustrates what needs to be done - something is repeatedly done. That means if you are really great about putting on a seat belt when you get into the car without really even thinking about it, you have a good habit of doing so, not to mention you are following the law, which helps to reinforce this habit. What other habits have you formed from early childhood? 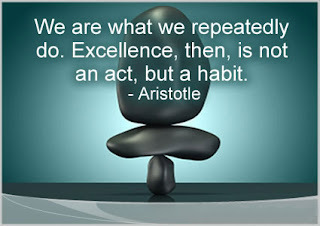 Are there some habits you'd like to eradicate? 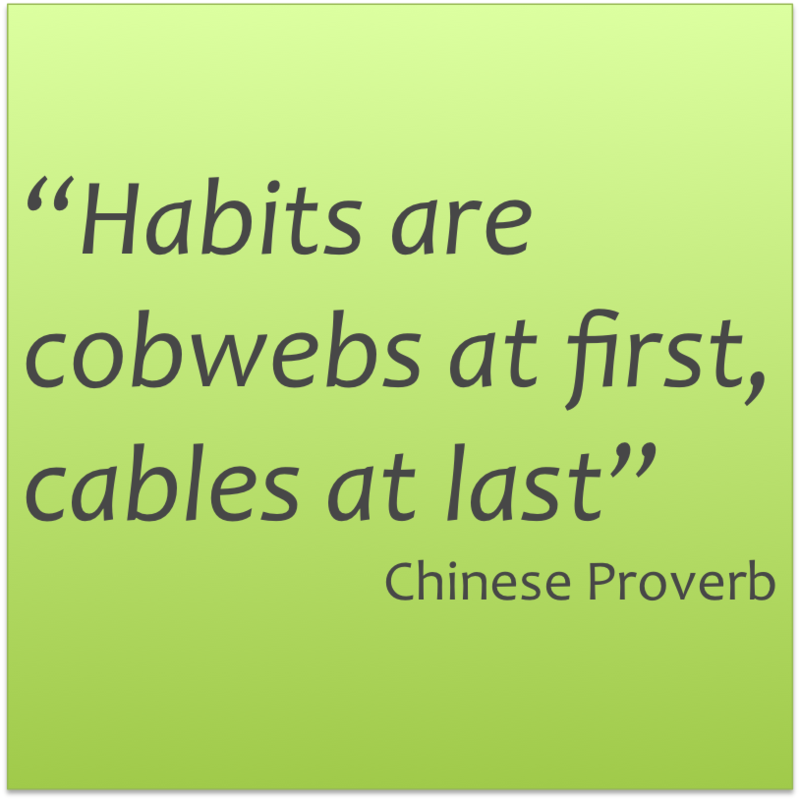 When you have a habit you'd like to get rid of, the first thing you need to do is examine the habit - how long has it been a habit and what steps you need to take in order to rid yourself of that habit. For instance, I'm going out on a limb here, I need to lose weight for my health. Many of us do. So we say, "I'm going to lose two pounds by Friday." Great goal, but what happens when Friday comes and I've GAINED two pounds? I feel crummy, disappointed, and head for carbs and sugar, something I do when I am stressed. To make it even worse, my friend made the same goal, and she lost six pounds. I watched her weigh in because I didn't even believe her. So it's more than stating a goal and going in blind. You gotta have a plan. I'm an easily-stressed kind of person, so when stressors invade my mind or body, I seek out food. Now I need to replace all those sugary, fluffy white carbs with something equally satisfying. That's where a roadblock appears. I don't particularly find cooking/baking enjoyable or easy and have very little time, so fast food beckons me when I feel the desire to eat. Now I have to look at another way to have those goodies that are actually good for me available. Take it from me. This is only one of the many habits I could break, but probably best for continued good health. Tackling this one habit will actually effect other habits as well. But it will take time. It will take focus. It will take determination. If I can do it, why can't you?